Chandigarh 31st July:- The hunt for exquisite customized taste is over. Lets get ready to put our best foot forward as the trio introduces its first unique collection of Punjabi Juttis for both men and women. The scruptuous team that picks for the tastes of the fastidious. The finicky and the pernickety can breathe a sigh of relief as they will be charmed by a collection that is painstakingly designed by the diligent team of three, Kittu Randhawa, Vineet Cheema and Simmu Dhillon. The juttis are made of handpicked luxurious imported leather, with exacting cuts fabric from indigenous ethnic sources and carry unique designs that serve the meticulous and flirt with the fancies of the daring. Reviving the traditional and incorporating the contemporary styles with their eye catching designs by "Heritage uniquely yours" with its first collection is here. They bring to you a line of bespoke fine leather; hand embroidered and tastefully handpicked exquisite designs on a variety of fabrics. They also offer a wide variety for the much neglected men's juttis with pieces ranging from casual wedding finery to exclusive and never seen before Pakistani, "Khussa's". The trio passionately talked about being in love with individual style and therefore wants everyone to know it. At this Jutti Carnival, they promised, "You won't ever forget the parts you remember. Chandigarh 31st July:- Wedding shopping is something that all brides-to-be can't wait for. 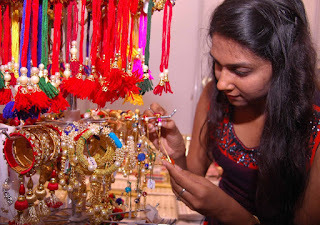 Right from the moment of the proposal onwards, they start planning and dreaming about the dresses that they will wear on their Mehendi ceremony, Sangeet ceremony, Reception, and all the other wedding functions. But the dress to be worn on the wedding day is what every girl dreams of for the longest time. Reason being, the wedding dress will very likely be the most stared-at, photographed piece of clothing you ever buy. Thus, finding and buying that special dress becomes one of the most special moments for every bride-to-be. So to make your bridal shopping an event to look forward to and a memory that will always bring a smile to your face, A Million Dollar Affair is hosting the best Wedding Exhibition "Masakali - The Wedding Showcase" in Chandigarh. The exhibition is a one-stop shopping experience where you and your entire bridesmaid squad can walk along aisles of the India's best wedding couture at one convenient location. With all the romantic hues of fiery red love to pale blues and soft lilacs, this Indian wedding Carnival offers a dreamy collection for the Princess Bride. The designs will make heads turn, and it's something out of the ordinary for your special day. Masakali - the Wedding Showcase has answers to all your wedding queries from pre-draped saris to lehengas, from Anarkalis to gowns, from top couturiers like Priyanka Khosla to designer brand like Amelia, from Sajda Couture to designer house Palaash, you name them, and you will find them at this wedding showcase. So be prepared to experience the widest choice of wedding solutions under one roof – where every designer has something unique to offer in the Indian Wedding space and showcase the latest wedding concepts and trends. Breathtaking, gorgeous, stunning – even these sound like a bit of an underestimation to describe the sheer beauty of the designer pieces that will be showcased here. The wedding day comes once in a lifetime of every girl, make the most of this day and look the most beautiful bride. Chandigarh 31st July:- Environment Month celebrations concluded at The British School, Sec 44, with a host of activities by students of different classes. 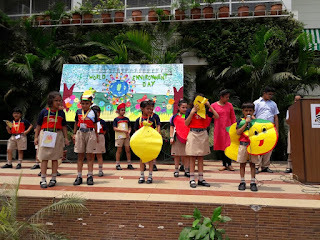 Pre primary classes participated in a group song , primary classes had an intra class elocution competition on the topic 'I am the best for your health', in which students spoke of different fruits and vegetables & their dietary importance. Classes 6 -8 presented a street play to highlight the importance of segregation of different types of waste using colored bins. Mona Sethi, Principal said that students demonstrated through experiments how plants help in bringing up ground water level. An intra class debate on the topic - nuclear weapons usage 'Ethical or not' was also quite engaging. Mumbai 31st July:- The 7th edition of the BIG ZEE Entertainment Awards commemorated the invaluable contribution of talents in the field of films, television and sports creating a wholesome experience of "Entertainment Ki Ultimate Night". The award ceremony recreated the magic of 'Las Vegas' in the city of Mumbai through its magnificent setting. The festive spirit of the vivacious city was well presented through the sets; thus, giving out a grandeur vibe and a visual extravaganza. The gala night witnessed the crème-de-la-crème of the Bollywood industry walking the red carpet. Hosted by popular film maker Karan Johar, the night saw power packed performances by leading Bollywood personalities who enthralled the audiences giving them an entertaining night worth remembering. Bhai jaan of Bollywood, Salman Khan raised the entertainment quotient when he performed on his hit tracks like Baby ko Base, Hud Hud Dabang. Followed by Sunny Leone who dazzled the viewers with her sizzling performance which was themed on Bollywood Jazz. Co-hosting the award ceremony with the ace director, laughter sensation Sunil Grover floored the audience with his witty quips and great comic timing. In the special and exclusive categories, on the occasion of completing 25 years in the Bollywood industry, Kajol was honoured with the Silver Jubilee Award for her outstanding contribution. 92.7 BIG FM Suhaana Safar Music Award was felicitated to the much-admired singer Udit Narayan for giving evergreen songs to the Bollywood Music Industry. 'BIG Zee Most entertaining Child Star' award for felicitated to Zaira Wasim. The night witnessed, desirous artists take home the coveted BIG ZEE Entertainment Awards trophy. Amitabh Bachchan whose performance was well applauded in Pink, won the 'BIG ZEE Most Entertaining Actor' in a Social Film. While son, Abhishek Bachchan won the awardfor 'BIG ZEE Most Entertaining Actor' in a Comic Film for Housefull 3, Aishwarya Rai Bachchan bagged 2 awards in her kitty for 'BIG ZEE Most Entertaining Actor' in a Drama Film forSarabjit and 'BIG ZEE Most Entertaining Actor' in a Romantic film for Ae Dil Hai Mushkil. The Bachchans would indeed be pleased on the family's coveted wins! The talented couple Nitish Tiwari and Ashwini Iyer Tiwari gave Bollywood cinema two brilliant films this year. Dangal was awarded as the'BIG ZEE Most Entertaining Film of the year' and Nil Battey Sannata received the award for 'BIG ZEE Most Entertaining Comedy Film'. Swara Bhaskar also bagged the 'BIG ZEE Most Entertaining Actor in a Comic Film'for the same film. The highly acclaimed film 'Udta Punjab' was awarded for the BIG ZEE Most Entertaining Social Film. Shahid Kapoor and Alia Bhatt's phenomenal performance in the film made them win the title of BIG ZEE Most Entertaining Actor, Male & Female respectively. Sonam Kapoor was awarded the BIG ZEE Most Entertaining Actor in a Social Film for her commendable performance in Neerja, Sushant Singh Rajput won the BIG ZEE Most Entertaining Actor in a Social Film for his work in M. S. Dhoni: The Untold Story and Ajay Devgn won the BIG ZEE Most Entertaining Action Film for Shivaay. Tiger Shroff had both his hands full as he was holding his awards for BIG ZEE Most Entertaining actor in an Action Film for Baaghi and BIG ZEE Most Entertaining Dancer for the film- A Flying Jatt. BIG ZEE Most Entertaining Actor Film (Debut) went to B'town's most promising new comers, Disha Patani and Harshvardhan Kapoor for their work in M. S. Dhoni: The Untold Story and Mirzya respectively. BIG ZEE Most Entertaining Singer was bagged by Kanika Kapoor for Da Da Dasse and Amit Mishra for Bulleya while BIG ZEE Most Entertaining song was awarded to Ae DilhaiMushkil. PV Sindhu bagged the honor for the BIGZEE Most Entertaining Sportsperson of the Year. Among Television shows, Naagin (Colors) won the highest honors as BIG ZEE Most Entertaining Series TV – Fiction. 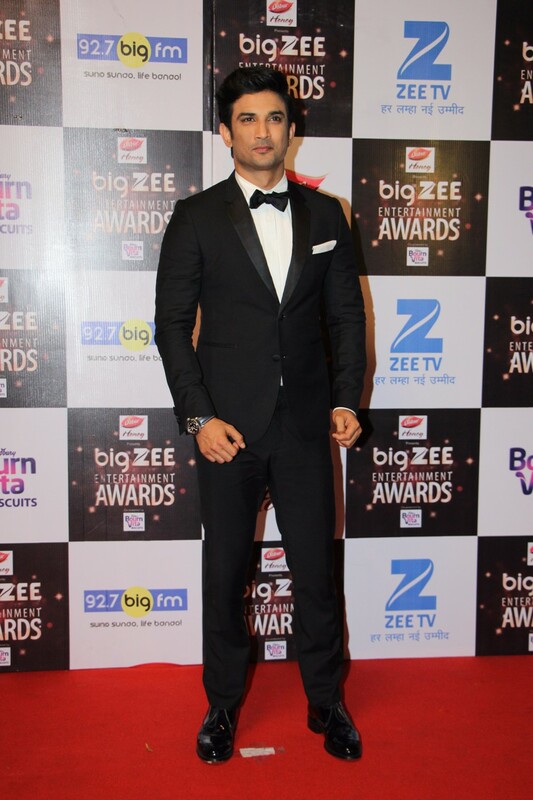 Mouni Roy (Naagin) and Ravi Dubey (Jamai Raja) won BIGZEE Most Entertaining Actor TV –Fiction. Sa Re Ga Ma Pa received the BIG ZEE Most Entertaining Series TV – Non-Fiction while Shilpa Shetty bagged the BIG ZEE Most Entertaining Jury/ Host (TV)- Non-Fiction for the show- Super Dancer. 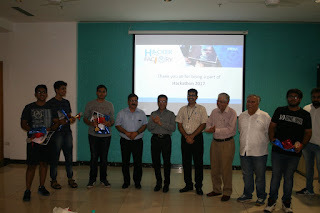 Chandigarh 31st July:- Infosys Chandigarh Development Center organized Hackathon 2017 for local school and college students with an objective to provide them with hands-on experience in real-time project environments, industry best practices and frameworks. Over 136 students from 26 educational institutions participated in the two-day event hosted by Infosys at its campus. The winning teams of Hackathon 2017 were felicitated by the Chief Guest Anurag Aggarwal, Home Secretary, Chandigarh. Chandigarh 31st July:- Cyient, a global provider of engineering, manufacturing, geospatial, network and operations management services to global industry leaders, announced that it has been conferred with the 'Leaders in Corporate Innovation' award at the 13th Indo-American Corporate Excellence (IACE) Awards ceremony conducted by the Indo-American Chamber of Commerce (IACC). The 'Leaders in Corporate Innovation' award recognizes businesses that have developed and employed innovative techniques for optimization of cost and operations. Cyient demonstrated excellence in all the parameters including promoting the concept of innovation among its associates and achieving business objectives. IACE awards recognize organizations and individuals that embody the promotion of Indo-US Trade and have made outstanding contributions impacting all spheres of the corporate ecosystem - business, industry and the overall community. A distinguished independent jury, comprised of business and U.S. Government leaders, evaluated the applicants and selected the awardees, who were honored in front of an audience of over 300 people, including the Indo-U.S. business community, IACC members, U.S. and other diplomatic officials. 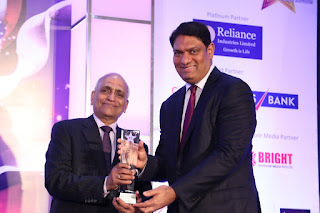 On receiving the award, Krishna Bodanapu, Managing Director & CEO, Cyient Limited said that this award is a testimony to our relentless commitment to innovation. It is an honour to be recognized as 'Leaders in Corporate Innovation' by a reputed body like the IACC and this further strengthens our efforts to foster a culture of innovation within Cyient. He would like to thank all of our associates for consistently delivering outstanding value to our clients. 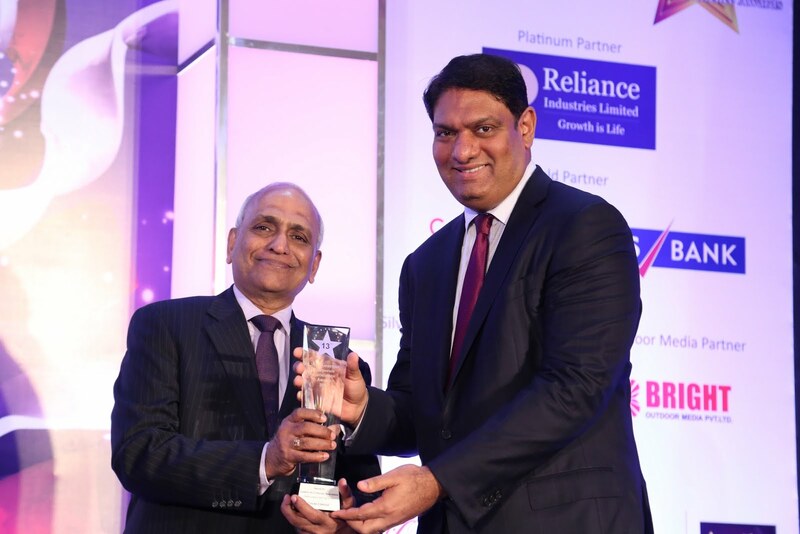 V Srinivasan, National President, IACC said that Cyient has excelled in the category of Corporate Innovation, showing admirable competence in innovative ideas and outdoing other nominees on various levels. It is our privilege to bestow this award to Cyient and he congratulate them on this achievement. Chandigarh 31st July:- FCA India today launched the Made-in-India Jeep® Compass at a starting price of INR14.95 lakh (ex-Delhi). The eagerly-anticipated Sports Utility Vehicle (SUV) is now available for test drives and bookings at any of the 50FCA and Jeep retail outlets across India. Deliveries of the vehicle will begin nationwide on August 6, 2017. The Company is set to expand its dealer network to 60 by the end of this calendar year. Packed with 50+ safety and security features, 30+ premium features and 20+ pioneering technologies, the Jeep® Compass is manufactured in FCA's Joint Venture manufacturing facility in Ranjangaon, near Pune, and is made of 65% locally sourced components. Commenting on the launch and price announcement, Kevin Flynn, President and Managing Director, FCA India said that due to the overwhelming public response to the Jeep® Compass, coupled with a significant number of pre-bookings and enquiries we decided to advance the price announcement so that potential customers can finalize their purchase decisions. We will start retails on August 6, 2017. Analyzing our pre-bookings data it has made sense for us to prioritize the deliveries of diesel manual transmission variants. We will deliver petrol automatic transmission variants closer to Diwali. Chandigarh 31st July:- Tricity's most heard FM station 92.7 BIG FM recently announced results of the latest category of the ongoing awards which are meant to be 'For the City, By the City'- Big Pride Awards. This month in the category of Best & the Most Affordable Government Hospital , on the basis of public voting through Whatsapp, Facebook, on-air Calls and jury members' benchmarks , residents & listeners voted for PGIMER, Chandigarh, the premier medical and research institution of the city, as the best & the most affordable hospital of the region. Other top nominations in the category included GMCH Sector 32, GMSH Sector 16, and Government Hospital Sector 5 Panchkula. PGIMER recently completed 54 years of its existence and entered the 55th year this July formally inaugurated on July 7, 1963, by the then Prime Minister, Pandit Jawahar Lal Nehru. PGIMER caters to a large number of patients. The hospital has almost 2,000 beds and an OPD attendance of around 8,000-11,000 patients per day. During the last year, around 25 lakh patients visited OPD and nearly 90,000 patients got admitted. The award was handed over by Big FM Team & RJ Abhimanu to Dr Jagat Ram, Director PGIMER, Chandigarh. Chandigarh 31st July:- With the critical fourth phase of digitization underway in Punjab, Tata Sky, India's leading content distribution platform providing Pay TV and OTT services, has rolled out its latest 'One Rupee Change' campaign. The 360-degree campaign featuring Amitabh Bachchan aims to encourage consumers to make the right switch from analog cable to Tata Sky, with the help of the latestDhamaka 199 Pack. These unique packs loaded with over 220 channels and services, includes the best of entertainment across genres, priced at Rs. 199/-. This campaign would be targeting over 2.74 million TV households in 77 sub-districts in Punjab as per the MIB report on DAS IV. In way that is quintessentially Tata Sky, the campaign, directed by national award-winning director Shoojit Sircar, has legend Amitabh Bachchan portraying a grumpy yet loveable shop owner – 'Uncle ji' whose life has turned upside down because of the success of the Dhamaka 199 pack. The pack, selling like hot cakes, forces him to keep stocking one rupee coins as change to give back to the customer. Malay Dikshit, Tata Sky's Chief Communications Officer said that its second nature for us Indians to be exact about the value for what we buy. The simple and humorous communication in this campaign makes use of this peculiar behavior and lands the price, the pack details and value for money messaging all in a few seconds. Through this campaign we are looking at targeting 70 mn cable TV households across the country. Sukesh Nayak, Ogilvy and Mather's Chief Creative Officer, Ogilvy West (India) said that to sell Tata Sky's most popular and extremely competitive value pack, priced at just 199, we decided to play on the fun side of the struggle that a shopkeeper has to go through, when he has to return the change for such a popular pack. 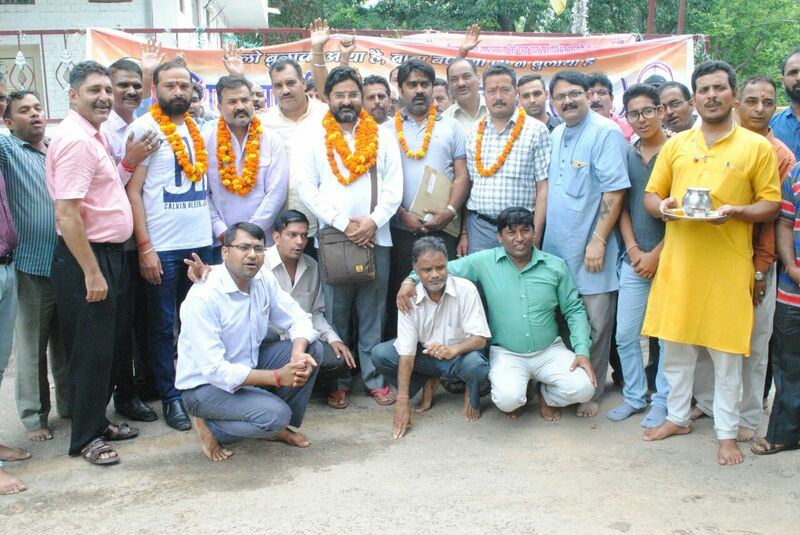 Chandigarh 31st July:-Punjab and Haryana High Court Bar Association, Chandigarh held a bid farewell of Amar Nath, Superintendent. The event was organized in the New Bar complex of Punjab and Haryana High Court in the presence of Dr. Anmol Rattan Sidhu, President, Puneeta Sethi, Vice President, Ravinder Singh Randhawa, Honorary Secretary, Loveinder Kaur Brar, Joint Secretary and Gagandeep Jammu, Treasurer along with Executive Members and all staff of High Court Bar Association. On this occasion token of love in the shape of Memento has been given by Dr. Anmol Rattan Sidhu, President, Puneeta Sethi, Vice President, Ravinder Singh Randhawa, Honorary Secretary to Amar Nath, Superintendent on the eve of his retirement. Amar Nath, Superintendent joined this esteemed Punjab and Haryana High Court Bar Association in the year 1981 and he served this esteemed Bar Association with full sincerity, dedication and honesty. Chandigarh 31st July:- NGO Tammana celebrated the Teej festival; as its Event 84 at Guru Asra Shelter Home, Sector 55, Palsora, Chandigarh between 4pm and 6.30pm on Sunday, 30th July, 2017. The Guru Aasra Shelter home is an orphanage with around 50 girls as residents. To celebrate the bounty of nature and thank the monsoon, the festival was celebrated specially with shelter home girls as the participants. The girls were gifted colorful & decorative 'bangles' and 'parandis', while snacks were arranged to enhance the festive spirit. 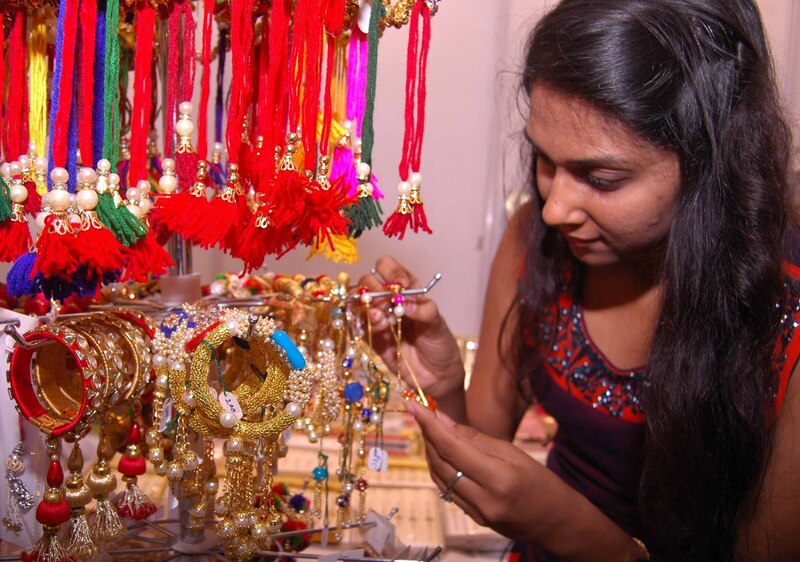 Team Tammana made arrangements for professional mehandi artists and the girls were seen flaunting their 'Heena' designs throughout the festival. The environment was enlightened by Folk, Bollywood & Punjabi music & all were seen enjoying. Family members of the Tammanites along with the team members & interns also added charm to the event with Punjabi style dress up. Tammanites were seen in festive mood while making the arrangements for the event. The team enthusiastically created swings on the tree where girls enjoyed their evening. The girls from the Shelter home experienced immense pleasure during this event which was reflected through their jubilant faces. Meenkashi Mahajan quoted that the girls at the orphanage were excited about the event since its announcement. Another experienced Member at Tammana, Harwinder Kaur shared her thrilling experience as she went to make the girls at the orphanage practice dance for the occasion. The happiness in the environment reflected the successful completion of another task by NGO Tammana. Isha Kakaria, the Founder of NGO exclaimed that these little bundles of joy fill the lives of these girls with excitement and Tammana again stands true to its motto of 'Doing things with Great love'. Chandigarh 31st July:- State Bank of India (SBI) announced a revised savings bank interest rate w.e.f. 31st July 2017. Under this change, customers with saving bank account balance of Rs. 1 crore and above will continue to earn interest at 4% per annum. And customers maintaining account balance of Rs. 1 crore and below will get interest at 3.5% per annum. The bank decided to revise the interest rate due to cut in MCLR by 90 basis points to 8% effective 1st January 2017 The reduction was on the back of large inflows in savings & current accounts during the demonetization period in the months of November & December 2016. The decline in the rate of inflation, high real interest rates and the expected softening of interest rates are the other considerations warranting a revision in the rate of interest on savings bank. Rajnish Kumar, Managing Director, National Banking Group, SBI said that the revision in savings bank rate would enable us to maintain the MCLR at the existing rates, benefitting a large segment of retail borrowers in SME, agriculture & affordable housing segments. We encourage people to move to FDR as we expect less volatility and better facilitation due to our strong reach, distribution and franchise network. Reduction in rates was also important as it was difficult to maintain MCLR at the current levels. Chandigarh 31st July:- A book entitled "Clinical Nursing Procedures authored by the faculty of NINE Under the stewardship of Dr. Sandhya Ghai as the editor in chief and Principal, NINE, PGIMER Chandigarh was released on 31st July, 2017 by esteemed dignitaries including Prof. Jagat Ram, Director PGI, Amitabh Awasthi, Deputy Director Administration PGI, Prof. Subhash Verma, Dean PGI, Prof. Rajesh Kumar, Sub Dean PGI, Chandigarh. This manual is a useful resource for all the undergraduate, postgraduate and practicing nurses. An attempt has been made to give a comprehensive approach to it by including all the procedures of various specialties. The authors have tried their level best to explain all the procedures clearly and succinctly as per the Indian context. Each procedure in the book has undergone a process of refinement through their various drafts by the experts. As per the specialty, the book is primarily organized into two six main sections. Section I elaborates the procedures of Nursing Foundation, Section II details upon the procedures in Medical Surgical Nursing, Section III covers the procedures of Mental Health Nursing, Section IV contains the Obstetric and Gynae procedures, and section V and sections VI covers the Child Heath Nursing and Community Health Nursing procedures respectively. The manual has been prepared as per the syllabus of Indian Nursing Council. Similarity in writing style has been maintained throughout the book. Each chapter starts with the key words and the introduction/definition to focus the attention of the readers. It is followed by purposes, points to remember, articles required, steps including the pre procedural, during procedure, and the post procedural, termination and the references. Important considerations are shown in a box at the end of each procedure. Appropriate figures and photographs have been added. The chapters have been written and edited by experts in each field. They have incorporated the evidences from research and their own professional experience while writing or editing the procedures. The Book is published by Delhi based CBS publishers. Prof. Jagat Ram, Director, PGI, Chandigarh and all dignitaries appreciated the effort done by the faculty of NINE which will be useful for the Nursing fraternity of future generations. Chandigarh 31st July:- The Department of Internal Medicine along with the Department of Hematology organized a one-day CME/conference on blood related diseases and bone marrow transplant. Professor Neelam Varma, the organizing chairperson started the CME by briefing about the program to all the delegates. Eminent haematologist and oncologist from various renowned hospitals across India came to participate as a faculty in the CME and delivered lectures on haemophilia, chemotherapy related mucositis, and selection of donor for bone marrow transplant. Many panel discussions were conducted to discuss practical problems of the patients. The chief guest of the CME was Prof. Jagat Ram, director PGIMER and the guest of honor was Prof. Subhash Varma, the dean of PGIMER, Chandigarh. The highlight of the CME was an oration given by Prof. Subhash Varma during which he shared his vast experience of over 4 decades with the audience. The CME was organized to coincide with superannuation of Prof. Subhash Varma on 31st July, 2017. On this occasion, he was felicitated by the departments of Internal Medicine and Hematology and a plaque was presented to him honoring him for an illustrious career and dedicated service to his patients and the institute alike. Prof Pankaj Malhotra presented his bio-sketch and achievement in PGI by a memorable audiovisual presentation. The last and very popular section of the CME was the north zone hematology quiz. Dr Gaurav Prakash ,the organizing secretary, informed that teams from states of Jammu& Kashmir, Amritsar, Ludhiana, and Chandigarh participated in the quiz. Approximately 300 physicians and haematologists from all parts of the country participated in the CME and benefitted by the academic deliberation during this conference. Chandigarh 31st July:- The newly renovated Medical Institute Branch of State Bank of India was inaugurated today by Prof. Jagat Ram, Director PGIMER, Chandigarh in the gracious presence of Anil Kishora, Chief General Manager of State Bank of India, Chandigarh Circle. It is one of the prestigious branches of State Bank of India in Chandigarh and caters to the various banking needs of PGIMER and its medical fraternity and other staff. The newly renovated branch shall extend the latest facilities in banking arena including e-Gallery and have better facilities, comfort and ambience for the convenience of its esteemed customers. On this occasion, Anil Kishora, Chief General Manager, SBI, Chandigarh Circle said that the SBI is committed to provide the best customer service and serving the largest customer base providing vast number of products to cater the banking needs of the masses with the latest technology products. Anil Kishora further added that as per the demand and need of the patients visiting PGI various digital payment platform will be introduced by SBI after consultations with the PGI authorities. The cashless transactions will further enhance the convenience of the patients. State Bank of India has been a leader in discharging it's duty as caring "Corporate Citizen" also. So on this occasion he also dedicated 100 specially designed stainless steel trolleys to PGIMER to bring relief to the patients who are visiting hospital for treatment from far-flung places of northern states. The Director PGI, Prof. Jagat Ram thanked Anil Kishora for this noble gesture of the Bank and appreciated for the consistent support by doing various CSR activities by SBI at PGIMER.